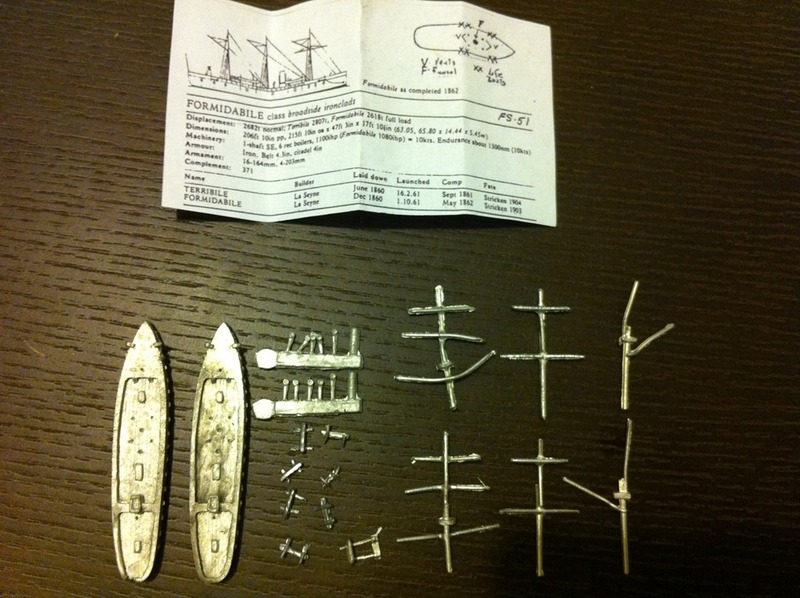 As if I did not have enough wargame plans for this year, friend Douglas’ foray into 1/1000th scale pre-dreadnought vessels has caused the usual wargamer’s “bright, shiney object” syndrome. Yep, purchased some more ships in yet another scale for yet another period. In this case, Italians and Austrians of the Battle of Lissa fame. The manufacturer? Houston’s Ships. Houston’s Ships are not known for their extreme accuracy. In fact, some of the vessels, to scale, are longer than the original vessel, others are shorter. First off, the Italian Fleet. The box I purchased contained models for the Formidable, Terrible, Carignano, Messina, Conte Verde, Re d’Italia, Re d’Portagallo, Regina Maria Pia, Castelfidardo, San MArino, Ancona, Palestro, Varese and Affondatore. Enough vessels to cover the Italian fleet. 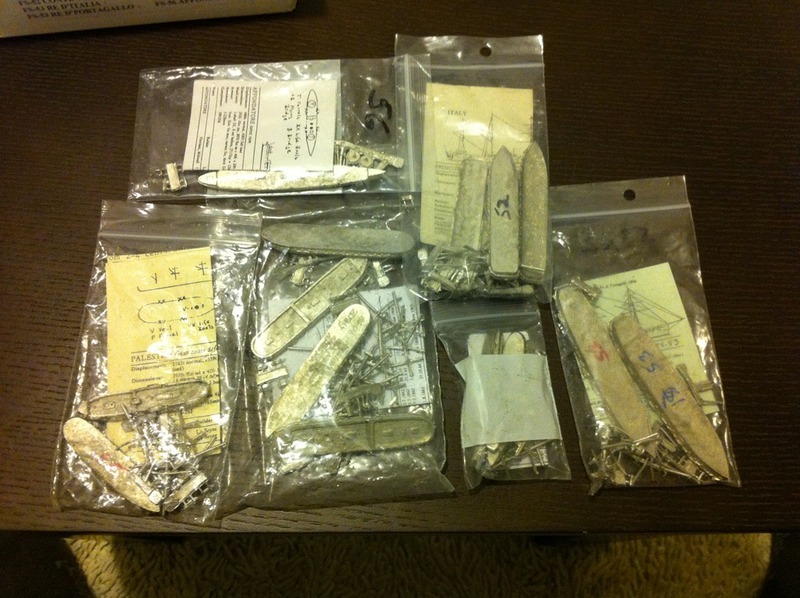 Opening one of the packs, in this case, the Formidable, we can see that there are two hulls and sufficient masts, whale boats and guns to complete two vessels of this case. The instructions and rigging instructions are basic and I would recommend consulting something like Conways All the World’s Ships for additional information. Whilst the castings are a bit rough around the edges, a little bit of filler and some clean-up and they should produce some nice models. More on all this later. In the meantime, I am trying to decide whether to paint these vessels in an Italian Grey or make them vessels of an imagi-nation and paint them in a good Victorian Livery. Good man, except you seem to have gone somewhat overboard in the number of vessels.. My Brits are currently partly rigged and awaiting the bases being completed. Soon..